The Effin Brewery has been nearly 30 years in the making, and although I would like to think otherwise is continually evolving. In fact so much time has been spent on various aspects of designing, building and using the breweries that my wife has been heard to exclaim "You are never out of that effin' brewery!!". Quite unwittingly she has named the brewery. Although I have been brewing for nearly 30 years, on and off, I have never managed to actually take the plunge and go commercial, although if the brewery expands past its current capacity of 18 (UK) Gallons then something has got to be done about that, after all a man can only drink so much beer. 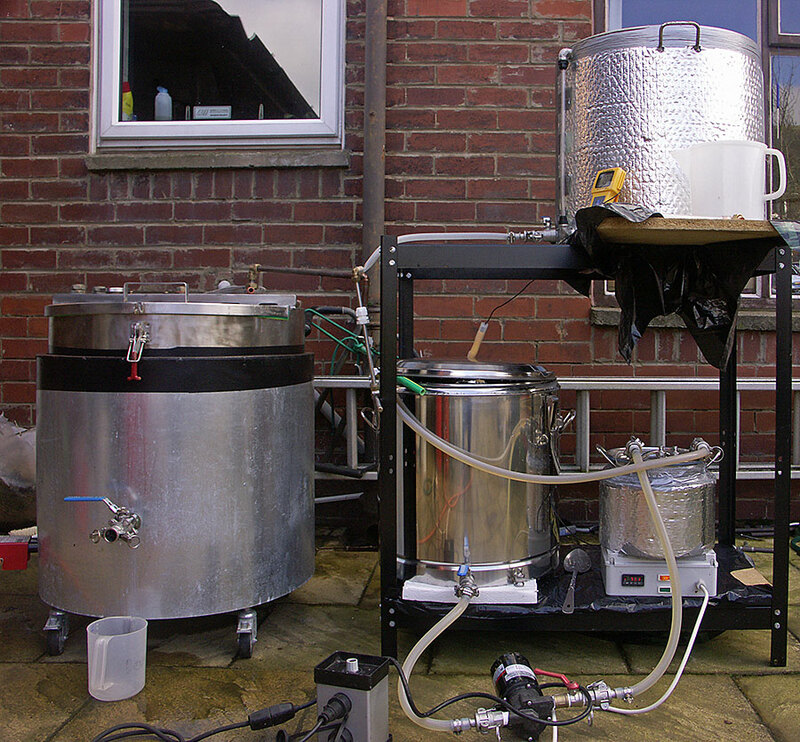 As of March 2011 the large system took its current form with an upgrade to a 150L copper, although I still only intend to brew a maximum of 85Litres as that is the maximum my fermenter will hold. It's now a Nano brewery!! Gradually as this site expands construction details will be posted of both systems, and certainly the operational details will be explained. I cannot describe the brewery as a micro brewery, as I feel that that description should really be applied to breweries with a capacity of more than 1 Brewers Barrel (36 UK Gallons, or 163L), nanobrewery really describes the system more appropriately. As a bit of fun the pilot system (4UK Gallons or ~20L brew length) got the femto suffix.